Standard - $159.99 Only 4 left! Boxes have that built-in mystery factor that just can drive anyone crazy. On the outside, it looks like a boring rectangular shaped object, but on the inside, it could be just about anything. Maybe it’s a present for you waiting in there. Maybe it’s a lifetime supply of pizza. Maybe it’s tickets to a concert, or some old photos of you and your family! You just never know until you open it. Surprise! It was a werewolf inside the box. 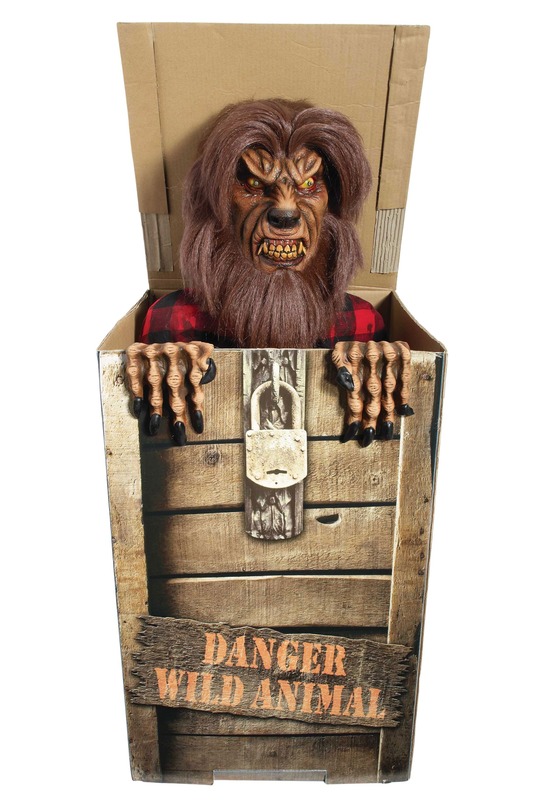 This Animated Werewolf in a Box decoration proves that you never really can tell what’s going to be inside of a box. 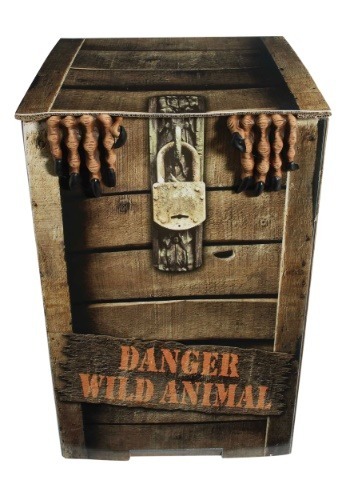 It looks like a normal, wooden box on the outside, but it’s actually housing a terrifying werewolf prop on the inside. He makes frightening sounds when the box opens. Sorry, it’s not a lifetime supply of pizza inside this box. It’s just a terrifying werewolf Halloween decoration. He's hungry for your blood (probably).